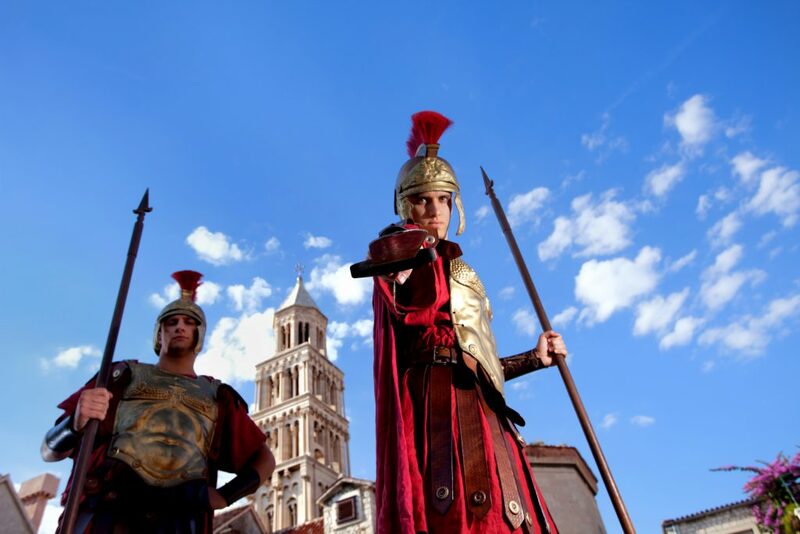 Romans in city of Split in Croatia, Dalmatia. Between muddy soccer practices, back to school lunch stains and well-intended art teachers, you may think that fall laundry is the stuff of nightmares, but nothing is as scary as these historic laundry practices. In the spirit of Halloween we bring you these hair-raising tales of laundry…before there was Biz. Did you know that ancient Romans used urine to keep their togas bright and clean? Before you scoff at the idea, know that urine is rich in ammonia, a cleaning product widely used today. After urine was collected, it was left to sit until it broke down into ammonia, which was then used to launder the wealthy’s garments. Fat from slaughtered animals is one of the most utilized laundry soap ingredients used throughout history. Many ancient cultures, including the Egyptians and the Romans, used tallow to wash their clothes. The fat kept the fibers moisturized and in great shape while also producing a gentle lather ideal for cleaning. Ancient people didn’t have the luxury of bleach or tough stain fighters like Biz. To knock out a tough stain, crushed chalk or clay was used to absorb the oils, which were then brushed away before washing. If that didn’t work or you were the Martha Stewart of the colonial days, hanging clothes in the sun also worked to bleach out stains. The next time you sigh at horror that is washing your family’s fall, mud-covered clothes, think about the Ancient Romans and be glad that your laundry and toilet aren’t one in the same.